Prints are 16 inch tall by 20 inch wide, archive-quality, and full-color. The print will be matted, and is specifically designed to fit in a 20 inch by 24 inch standard sized frame, which can be purchased, affordably at your local art or frame shop. Send me an email at christine@chistinecornell.com. In the email, indicate the identifying number, (located above the drawing's description, within a gallery). I will send you, via email, pricing information and further instructions. If you have any questions, also, send me an email. This section is under contruction. © 2013 Christine Cornell. All rights reserved. The images displayed may not be downloaded without payment and permission. 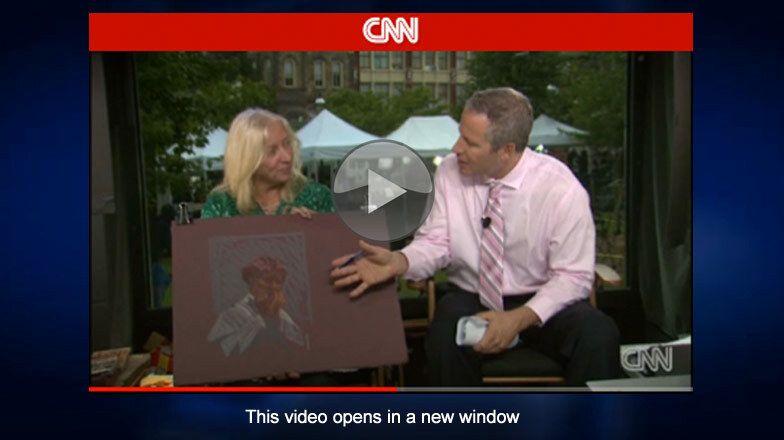 An interview on CNN by Vinnie Politan discussing the difficult testimony of Victim 1 during the trial of Jerry Sandusky.